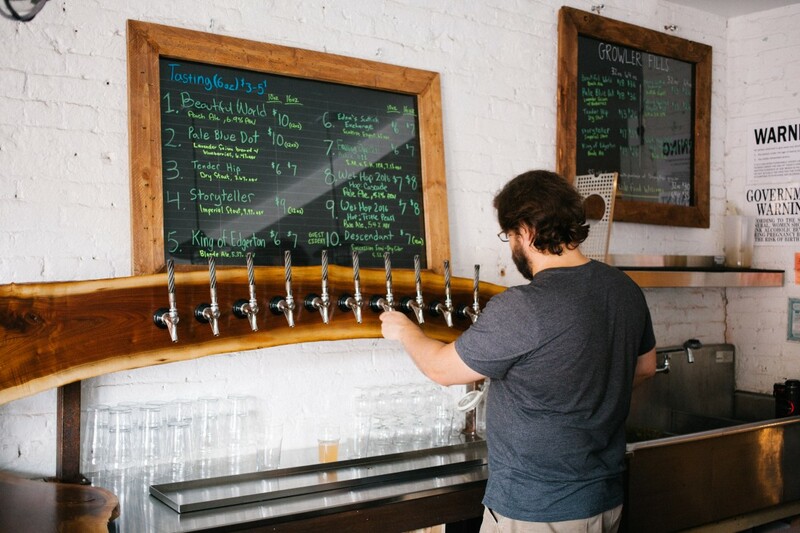 Is Gowanus becoming Brooklyn’s Beer Mecca? Sandwiched between some of the most expensive neighborhoods in Brooklyn is the mighty area known as Gowanus, a former saltwater marshland turned into a wealth of, well, wealth. It’s now home to many popular destinations ranging from BBQ restaurants to shuffleboard courts and artisanal ice cream. 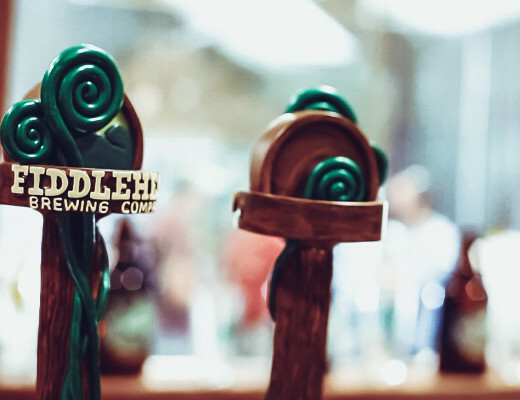 It’s also home to Strong Rope Brewery. 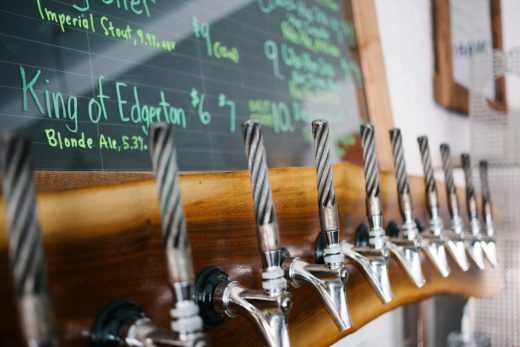 Being located in a rapidly developing neighborhood is naturally a great place for good beer, if it’s any indicator, neighboring Threes Brewing and Other Half are proof of this. 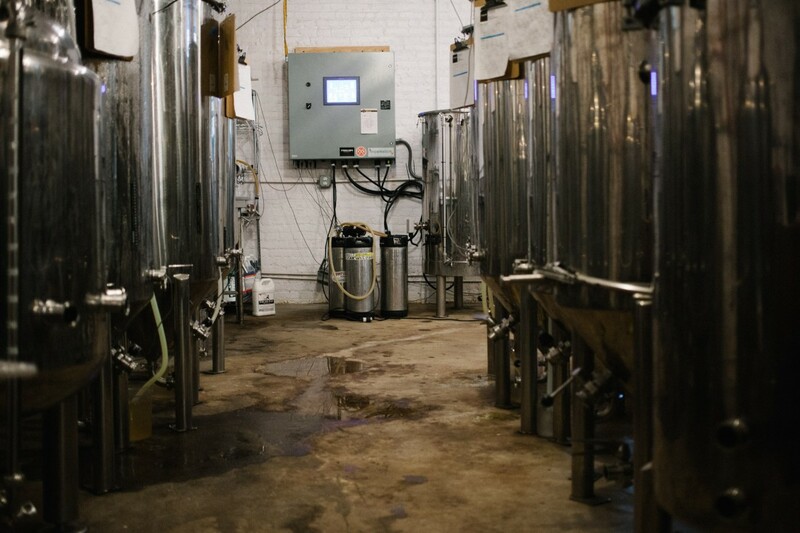 Located in the former Brooklyn Brine pickle production space, the brewery was started by Jason Sahler, an award winning home-brewer who got his start in 2003 when he picked up his first home-brew kit and never looked back. For some reason the name Strong Rope resonated with me, as did Jason’s story. I’m not sure what specifically, maybe the homebrewing addiction part? Either way, I felt that I had to stop by when I learned of a new brewery opening nearby. Initially I thought it was going to be nautically themed, but I was totally wrong… and that’s okay. The name actually has a much more somber, but important meaning and story behind it. It stems from a friend of Jason’s who passed away. 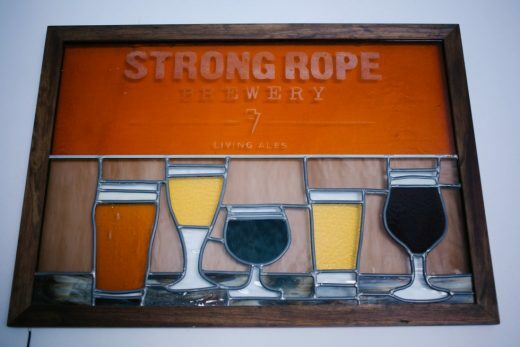 Strong Rope pays homage to his friend in a way that will forever make others happy, through the enjoyment of beer. As Jason told me, the brewery was designed to brew about 250-300 barrels/year on his 2 bbl system. Essentially being a one-person operation, it’s a nice size for experimentation and developing recipe variations without wasting too much beer. 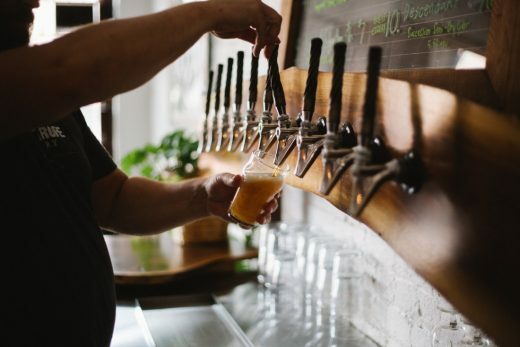 While the nature of brewing in NYC is a strange one, considering the costs of running such a business, a sea of contract brewing gypsy breweries, there were a few loopholes other breweries took advantage of, namely the farmhouse brewing license. 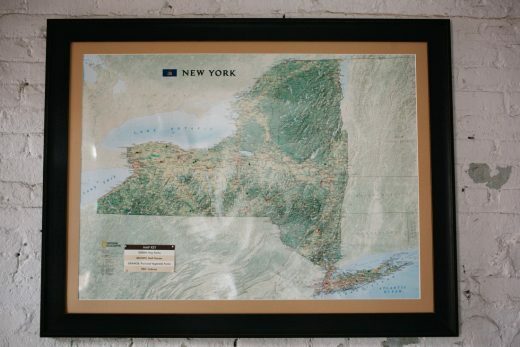 Going that route made it easier to get things up and running, by using a percentage of NYS-only ingredients, you could make it happen faster. 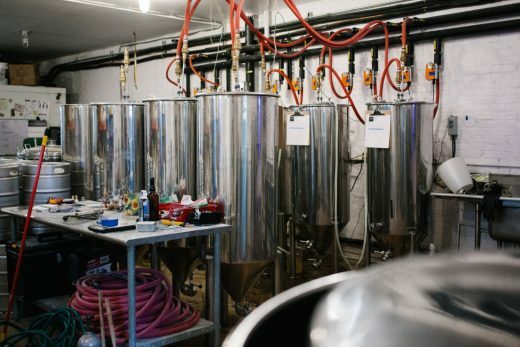 Other breweries in NYC have done this, but only a few are truly “farm breweries” as defined by the requirements, and Strong Rope is one of them. 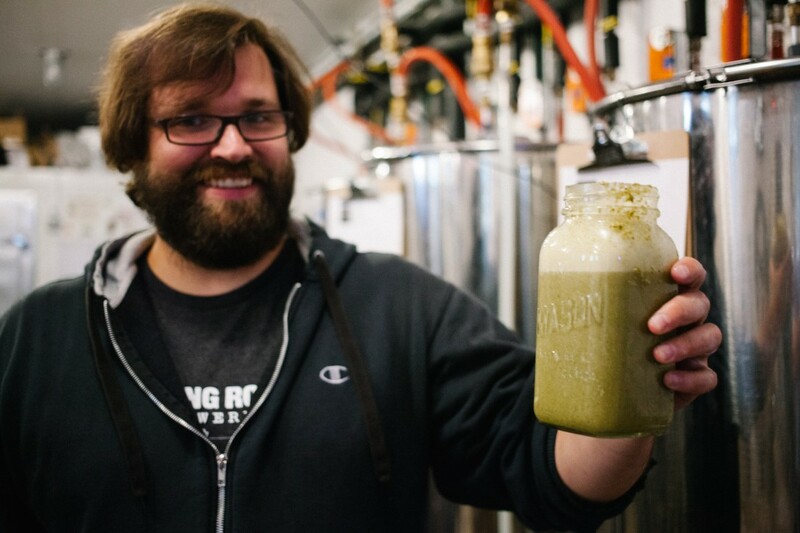 It was started as a true New York farm brewery, and Jason is even on the committee as proof of that dedication. 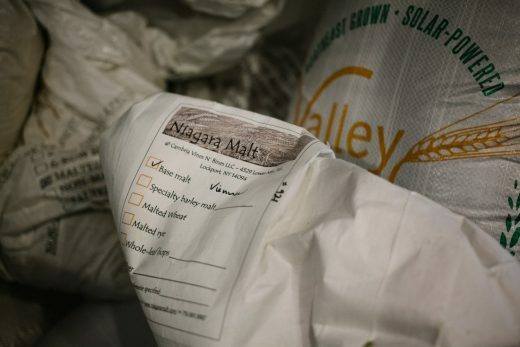 As such, he uses almost entirely locally sourced New York State ingredients for his beer – and is currently using about 90% New York malt and 100% New York hops. 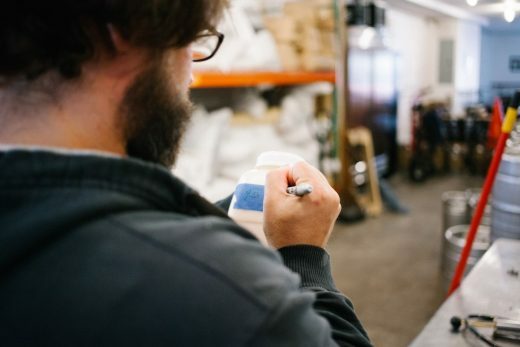 Brewing small-scale and keeping it local does have its challenges. 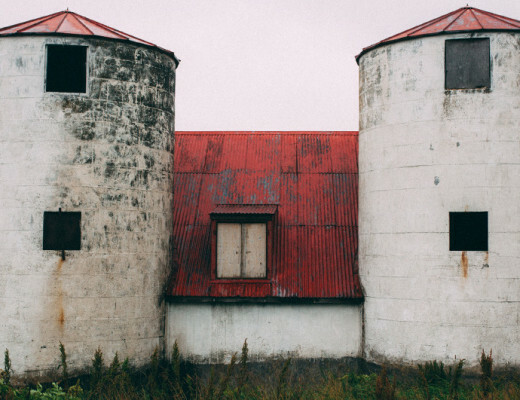 Working with only what’s available is sort of a creative limitation, or a box that you have to work within. 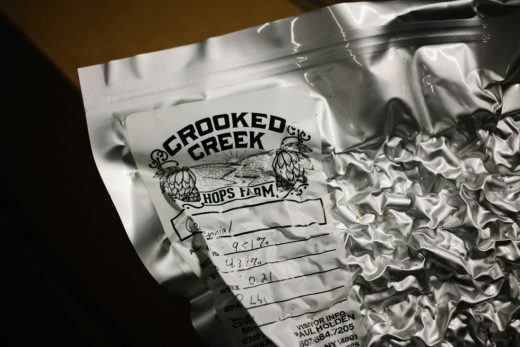 Some problems that pop up are: Will certain hop or malt varieties even be available in-state? What will next hop crop result in? However, in the case of what he’s doing on this scale, he’s making it work quite well. When I stopped by to visit I learned about one of his IPA’s (Falling Squirrel), which was a SMaSH based on a ‘mystery hop’ with an unknown lineage. 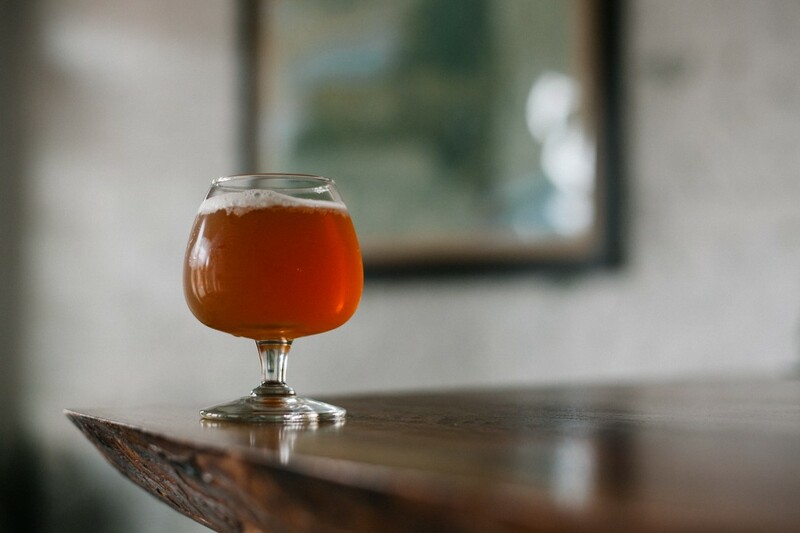 Essentially, one of the local hop farms had discovered an unknown variety growing on their farm, but they weren’t sure which variety it was, so they left it forever unnamed, or rather they did name it… but as “mystery hop.” Perfect for spooky Halloween brewing, right? 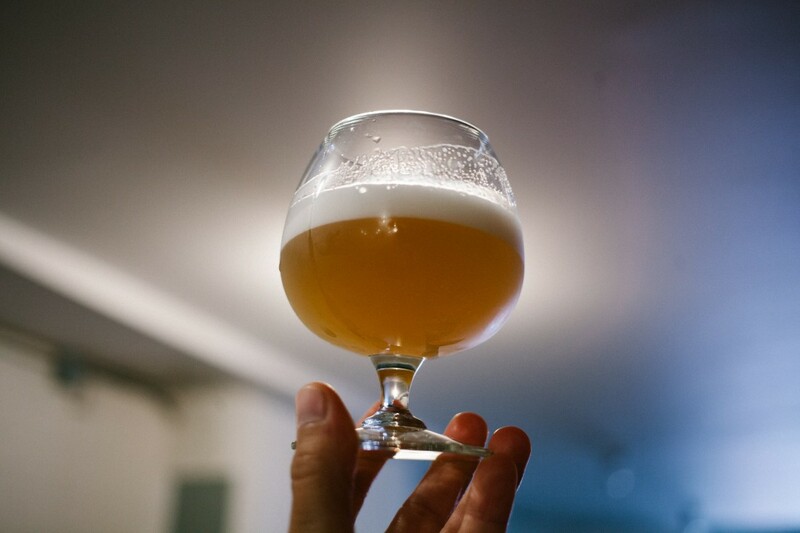 Anyhow, he liked the profile so much, it’s now going to become the base for most of his hoppy recipes going forward. Though IPA’s are not the immediate focus, mystery hop aside, Jason was keen to point out that Brooklyn has an awful lot of hoppy beers. Strong Rope will be steering from that and aiming to target more balanced and somewhat unique beers. 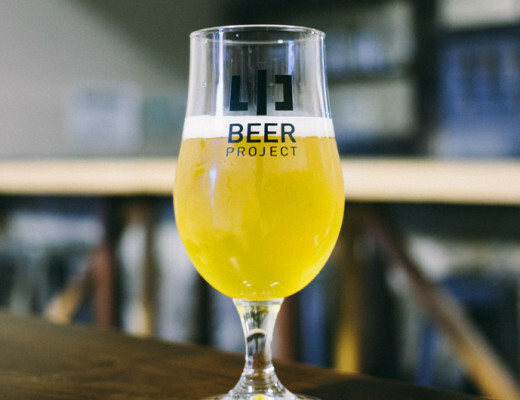 Though he can technically brew anything he wants, the goal is to have a balance of styles across the spectrum to suit everyone. From session beers through imperial stouts. 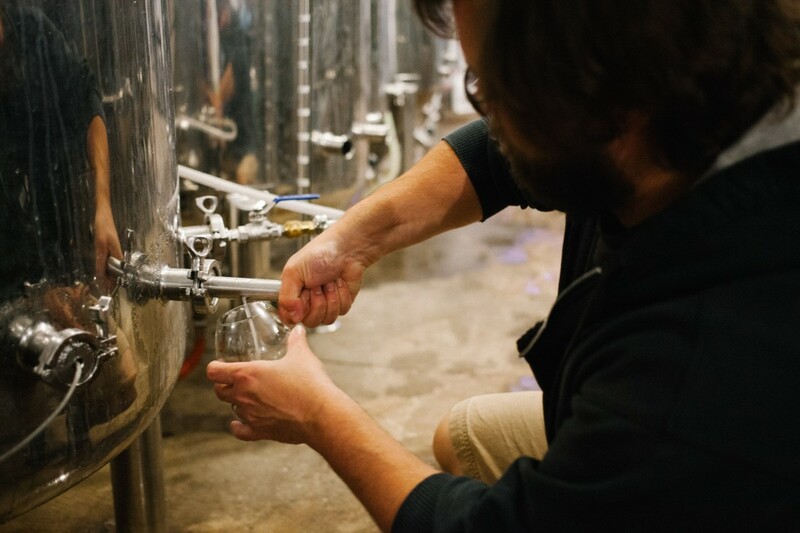 His brewing philosophy is to keep the esters and phenol’s low, and to showcase the local ingredients used, specifically with seasonally available fruits, herbs and vegetables when possible – such as one of his upcoming beers, which is a brown ale using caramelized squash and maple syrup. Look for it on the tap list or via BeerMenus. When I stopped in to take photos I got to try one of his latest batches, which was a Sixpoint collaboration Cream Ale brewed with Strawberries. It was smooth with a little bit of creaminess from the corn, floral on the nose and tart from the fresh strawberries, totally delicious. And I got to try it straight from the tank. Nice! 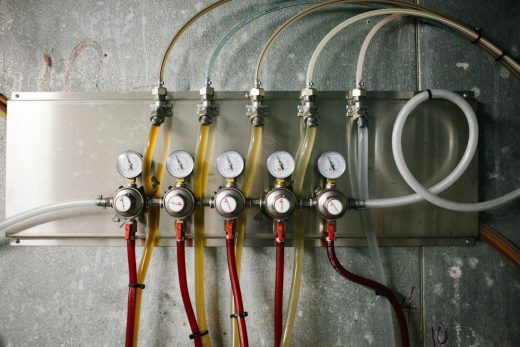 Keep your eyes peeled for more from Strong Rope Brewery, as there’s a lot of opportunity for really unique beer to come out of this tiny operation. 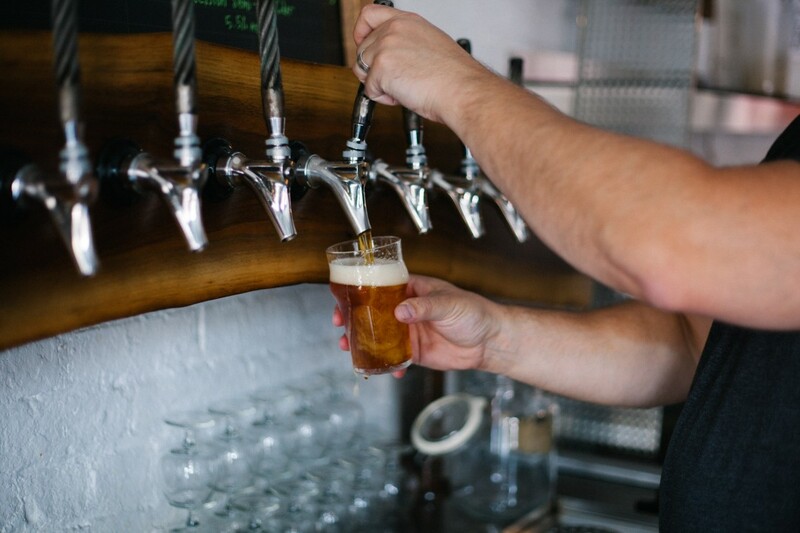 Your best chance is to visit in person where you’ll find approximately 10 beers and some cider on tap at any given time. They’re opened 5 days a week (Weds-Sun), and it’s a nice cozy place to hang out in the neighborhood. 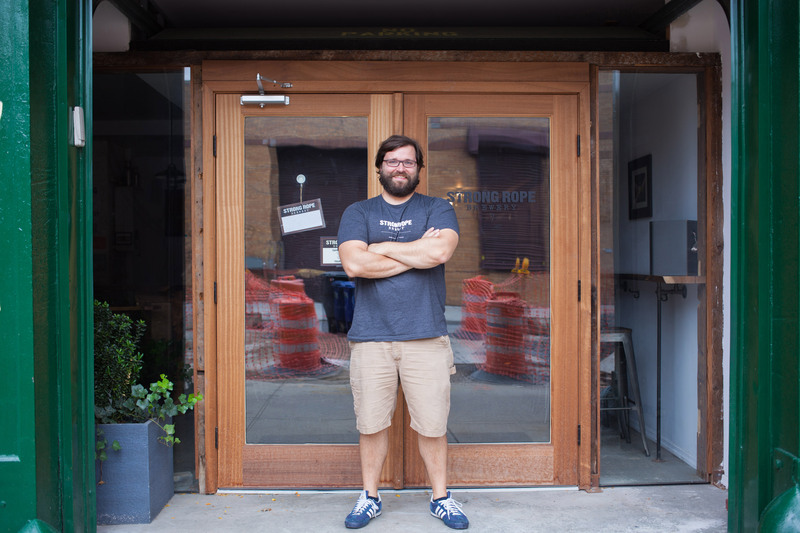 Some of his beers are also distributed locally to a few accounts, at places like 61 Local in Cobble Hill, Brooklyn – though, the main focus is the brewery. 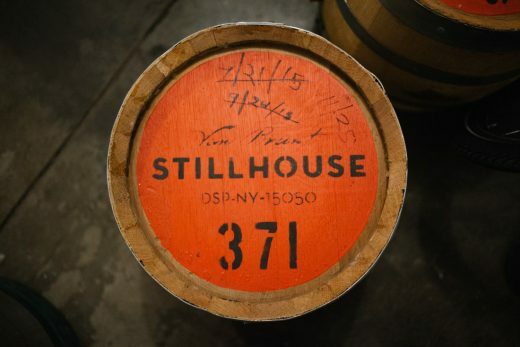 If you want to try what’s fresh, as in all cases, head to the source. 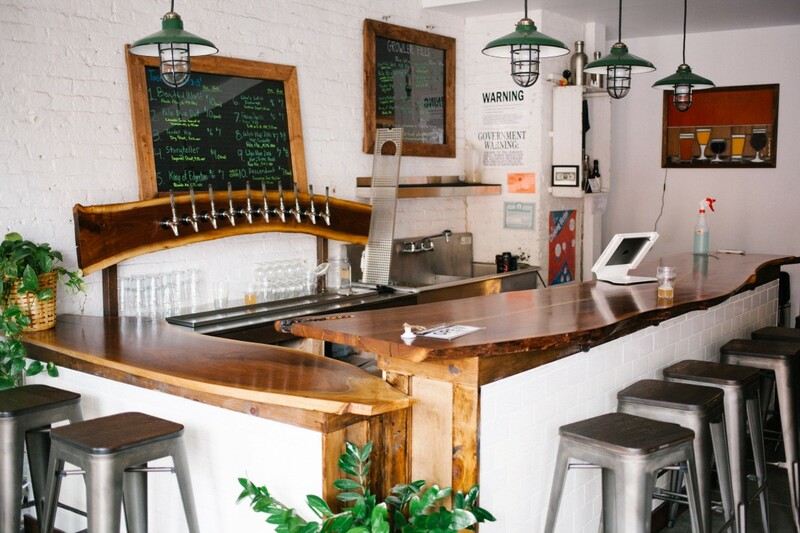 Strong Rope Brewery is located just one block from the R train at Union and 4th Ave, or a bit of a walk from the F train at Carroll Street. Updated 11/8/16 to fix days opened, tap list and beer availability.